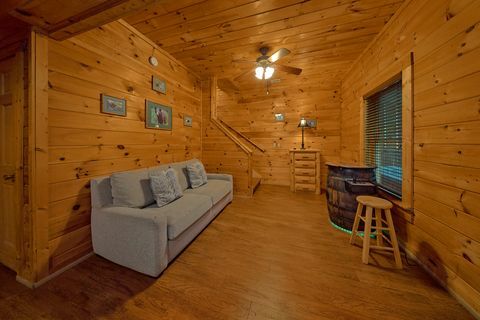 Come explore this spacious 5-bedroom Pigeon Forge cabin rental, "Bear Shack." 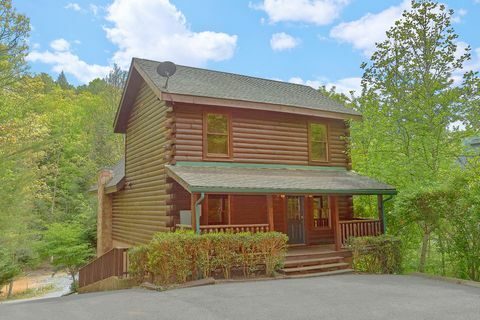 Placing guests close to all the attractions in the prime location of Mountain Park Resort, this 5-bedroom Pigeon Forge cabin near Parkway action provides all the comforts of a cabin retreat and easy access to all the attractions. 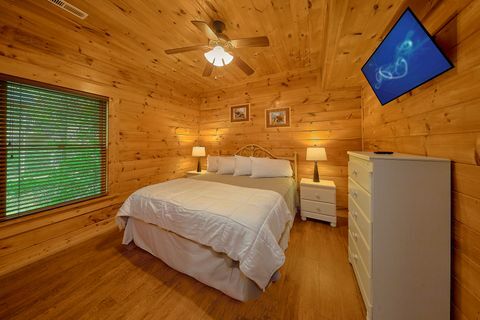 With resort swimming pool access, closeness to Pigeon Forge, and superior cabin amenities, "Bear Shack" offers the ideal vacation cabin for families and groups of up to 12. 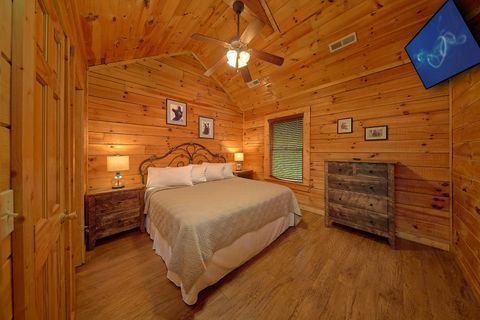 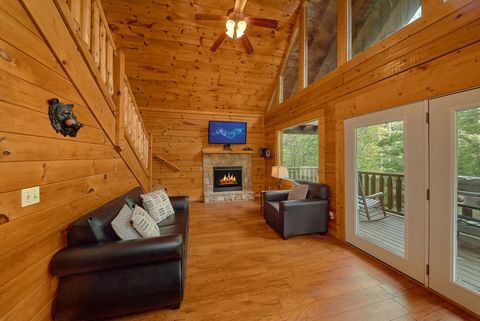 Nestled in a tranquil wooded resort setting, this 5-bedroom Pigeon Forge cabin rental provides guests with luxury and plenty of space to relax. 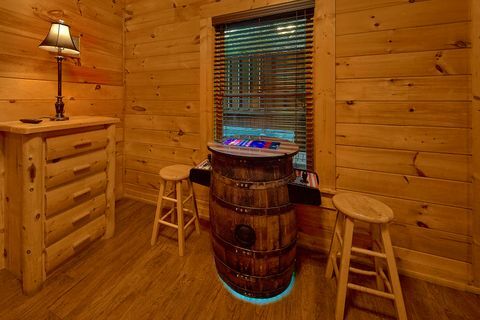 This cabin's year-round hot tub invites vacationers to relax in its warm waters and enjoy the mountain air. 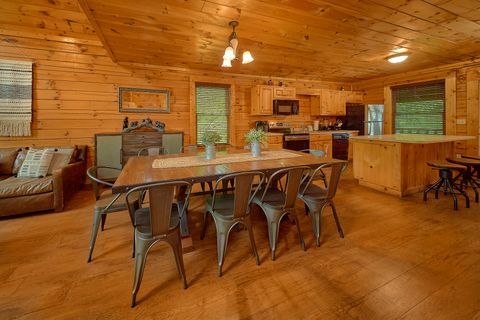 Enjoy burgers straight off this cabin's charcoal grill. 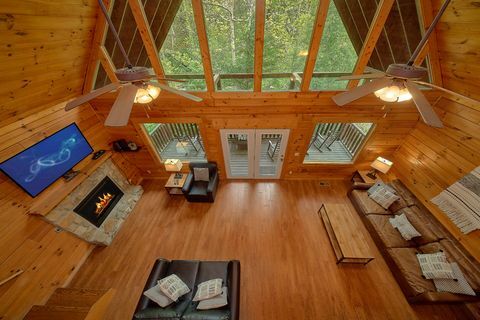 Inside, family members gather around the living room's television to watch the big football game, accompanied by the glow of the electric fireplace. 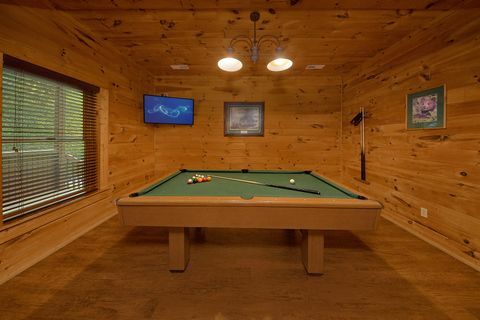 The game room's full sized pool table will be a big hit throughout your stay in the Tennessee Smokies as well. 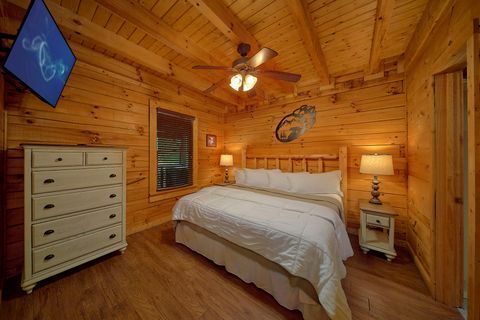 You'll be able to keep everyone posted on your exciting cabin adventure with this cabin's WIFI internet. 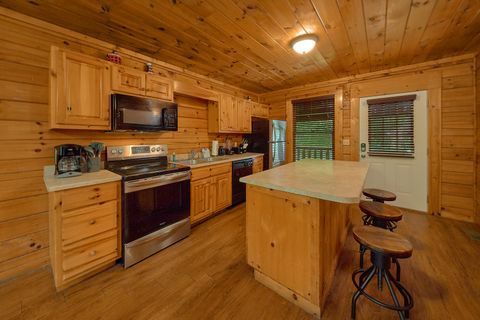 While your Pigeon Forge cabin is near Parkway restaurants, vacationers may wish to maximize quality family time and SAVINGS with meals from your cabin's spacious kitchen with breakfast bar. 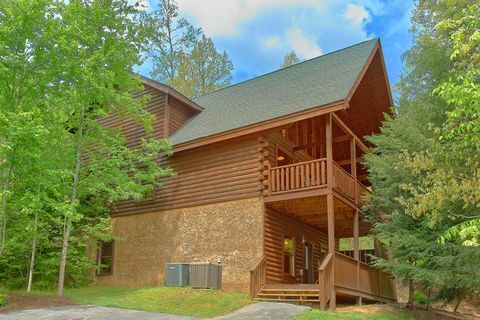 A large group comes with a large load of clothes. 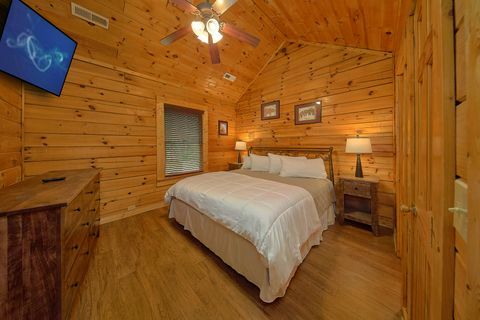 The in-cabin washer-dryer ensures that everyone will have plenty of clean clothes for your next mountain adventure. 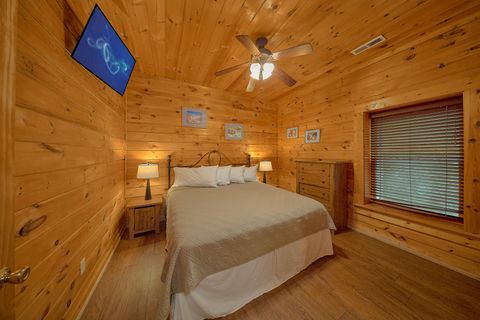 Remember, when you book this 5 bedroom Pigeon Forge cabin rental or another Cabins USA Pigeon Forge cabin near Parkway attractions online, you get an immediate Online Cabin Discount!